It’s clear that businesses across the UK are working hard to attract talented candidates to their roles, with some of the nation’s key cities witnessing above-average hikes in pay last month. 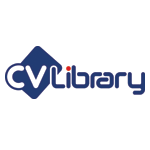 That’s according to the latest data from CV-Library, the UK’s leading independent job site. What’s more, some of the nation’s key industries also witnessed impressive salary growth when comparing data from April 2018, with that of April 2017. The biggest increases were seen in the legal (11.3%), IT (7.2%), care (7.2%), marketing (4.4%) and sales (4.3%) industries. Furthermore, job vacancies were also up last month, increasing by a staggering 16.5% year-on-year. That said, candidate appetite did not keep pace, with application rates dropping by 8.2% when compared with data from April 2017.